Imagine owning a online platform that gets consumers to purchase your product and make payments months in advance without receiving the product first. Imagine owning a marketing agency which handles all online marketing activities for these product owners and owning content write ups, marketing materials and product reviews of each of those products with permission form the product owners itself. Imagine being able to generate profit not only from the consumers coming to the platform; but also profits from product owners that provides their product to the platform. Imagine that this platform is not only hip, trendy and creative; but also making a ton of money. Well, imagine no more... The next big thing is here! HipHalal is your answer to your halal product needs all under one roof! Learn how we can simplify your discoveries and curiosity in trying out new halal products that are out there in the market while giving you tons of savings with the ability of testing out first the products before paying the full amount! Hiphalal will also ease the of pain of product merchants to develop an OUTSTANDING branding strategy to reach our immense community of over 1/2 million Social fans and growing and more than 1 million user market reach and make them buying the halal food products constantly every month. We are creating a monthly subscription base pack that puts samples of HALAL FOOD PRODUCT straight to the doorsteps of our consumers, right in their hands for them to SAMPLE, LIKE, SHARE AND LATER BUY DIRECTLY FROM the product owners in the truckloads! A) On the consumer side, we collect profit from monthly subscription which means that we can get users to pay us months in advance before even delivering the products to them. B) Product owners will be charged a fee on their third month of Subscription to our platform (because we give the first two month of marketing and promotion FREE) on each product item they want to promote, which means the more product they want to have on the portal, the more profit we will generate. We also provide content write up for product and company for a agreed fee if you want this additional service We plan to reach 500 subscribers on our first six month of operation and 100 product owners promoting more than 1000 products. We have a team with awesome mix professionalism in their own set of expertise that can make this platform happen. We also have connections with government agencies to get products on the platform as well. Sooo...If you want to own that kind of a platform, HIPHALAL is your choice. 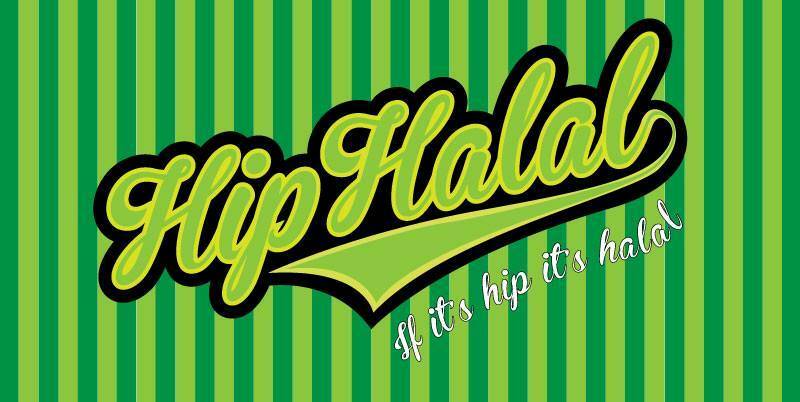 Hiphalal - Always hip, always halal, always you. However, the person must send pitchIN the proof of transfer by attaching the receipt to the email address: [email protected] with the Subject Heading: HipHalal. Upon receiving that, the folks at pitchIN can then quickly update the project page. Your name will be up as a virtual Gratitude badge that will be displayed on our Facebook page. 1 Limited Edition "HIPHALAL" Tee plus 2 month free subscription of the "Subscriber" pack. 1 Super Limited Edition "#HALAL" Tee plus 3 'hashtag' sticker plus 3 month free subscription of the "Subscriber" pack. Your company name will be up as a virtual Gratitude badge that will be displayed on our Facebook page.